Hi, my name is Martin and I come from Slovenia. I work as a graphic designer and programmer for a small company in Ljubljana. First of all let me thank you all for considering my tank as TOTM. I got into the hobby about 4 years ago with my girlfriend. 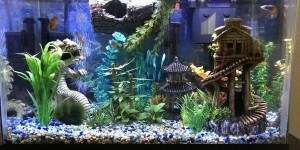 The first idea was a small 17g (72l) aquarium with a goldfish. I got the tank and other equipment used from a guy locally, built a wooden stand, bought some gravel and away we go or so I thought. When I filled it up with water I knew I had to cycle it but had no idea how so I started reading. To make the long story short the tank got drained a week after filling it up and the collection of information began and lasted for about a year when I finally felt like I was prepared for setting up a freshwater tank. 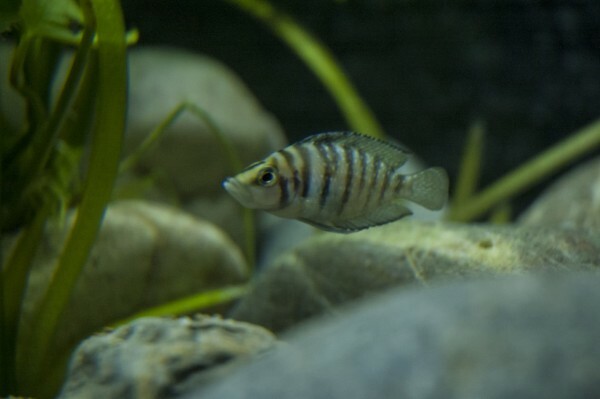 This tank later housed a pair of Apistogramma cacatuoides and a couple of peckoltia sp. The hobby after that escalated very quickly as we ended up with 6 tanks in house ranging from small 4g (20l) shrimp tank to a 125g (470l) cichlid tank which I will be presenting. As I like to research different aspects of biology and chemistry the hobby to me meant that I could broaden my knowledge in something that I didn’t have the possibility before. SETUP : The 470l setup includes: 125g (470l) all 1/2 inch (12mm) thickness glass aquarium 30g (110l) mixed media sump (fluidize and submerged media) The fluidize media used is plastic electrical installation tube cut to 1/2″ pieces and some bio-balls. The submerged section holds filter sponge, hydro ton and sintered glass media. 1.5g (6l) Gralla denigrate reactor filled with lewatit mp600 Other equipment that I use are two 150w Eheim submersible heaters 500gph (2000l/h) Eheim pump 150g Tetra pump for driving the reactor TC420 light controller. 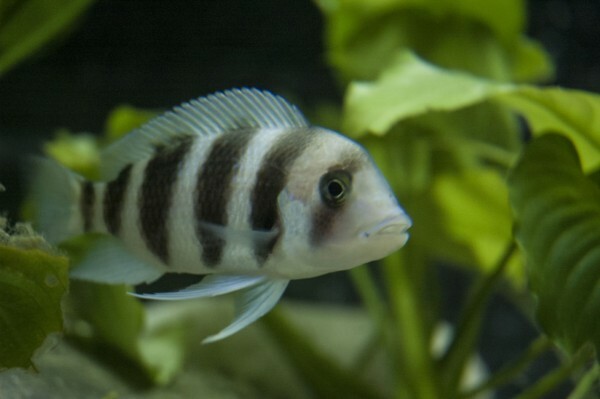 MAINTENANCE : I perform water changes weekly with about 50g (200l) of prepared water. The water i prepare is regular tap water which is quite hard (gH 9, kH 11) and alkaline right out of tap. I use Seachem prime to dechlorify the water and then add baking soda for raising kH. I then leave the water in a barrel with a heater and a pump to mix the water. Parameters in the aquarium are: pH 8.5 temp: 26*C ,NO3 7ppm , kH 13 , gH 9 , PO4 0.2ppm. 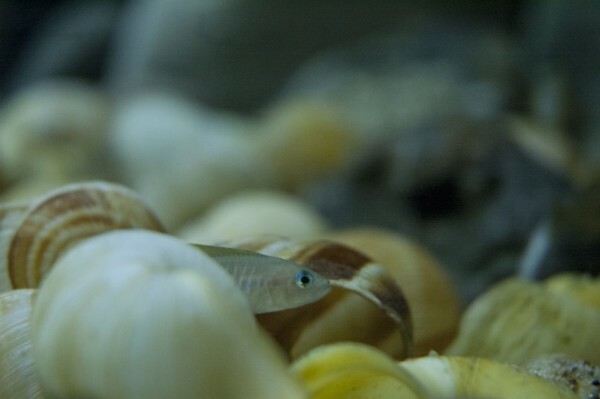 INHABITANTS: As it is supposed to be a Tanganyika bio-tope all the inhabitants are from the lake. Currently the inhabitants are Lamprologus multifasciatus (shellies), I don’t know how many there are left but when I moved the colony from my old tank I counted it to be about 80-100 but has decreased gradually due to predators in the tank. 3 of them are Altolamprologus calvus black zaire and the other 7 are Cyphotilapia frontosa Mpimbwe blue. Both are still pretty young and small as they grow very slowly and will take about 3 years to reach maturity. The only other inhabitants are some nerite snails, valisineria gigantea which is slowly dissolving due to hardness and low lighting. The same goes for a couple of Anubis plants. FEEDING: I mostly feed my fish flaked and pelleted food from Tropical. 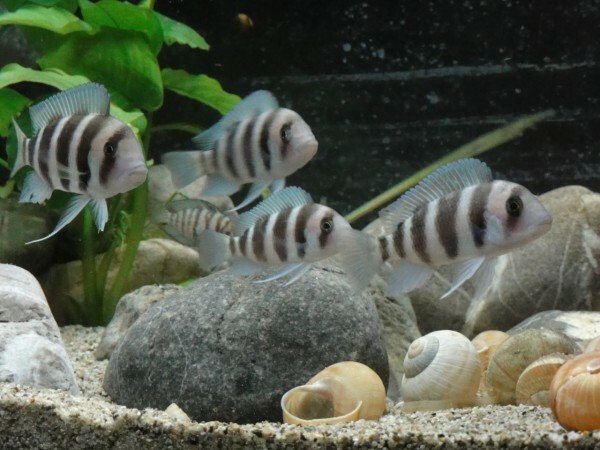 The foods I used are Tropical Soft line Africa carnie and herbi Tropical Tanganyika flakes and Tropical 3algae I will slowly transition the frontosa to frozen squid when they get used to me as to not foul up the tank with uneaten food. Conclusion : I think this sums it up in rough. Any questions, suggestions etc. are welcome.